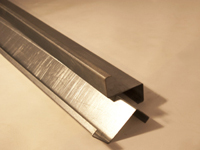 Our Z Purlins are produced from galvanised steel in varying thicknesses. Our standard length is 2.5M however we can produce the Z Purlins in other lengths. Please contact us for more details.